Since writing my post a few weeks ago on Simple Wedding Planning I thought it would be good to start a series sharing all my experiences with you all. The key to wedding planning is spending time doing research and speaking to friends / family who have actually got married in the last few years. Two and a half years ago I had the wedding / honeymoon of my dreams in the Maldives. For those who haven't heard of this place its situated in the Indian ocean with a group of around 1200 islands separated into a series of coral atolls. Many of these tropical atolls / islands are simply picture perfect with sandy beaches, swaying palm trees, deep blue lagoons and none of the islands rise higher than 7.8 ft above sea level. I spent weeks / months into researching which Island to visit as there are SO many to choose from and eventually I picked *Jumeirah Vittaveli. Having stayed at Jumeirah resorts previously in Dubai and knowing their standards it was certainly a safe option also at the time it was a newly opened resort. Some of the resorts can look a little knackered and in need of refurb but I knew this one wouldn't disappoint. The key is to not to rely on website photos as they are bound to look perfect but its best to look on places like Instagram / TripAdvisor. After a 10 hour flight from London we finally land in Male, soon as you collect your luggage from the airport and step out you are taken care off immediately. 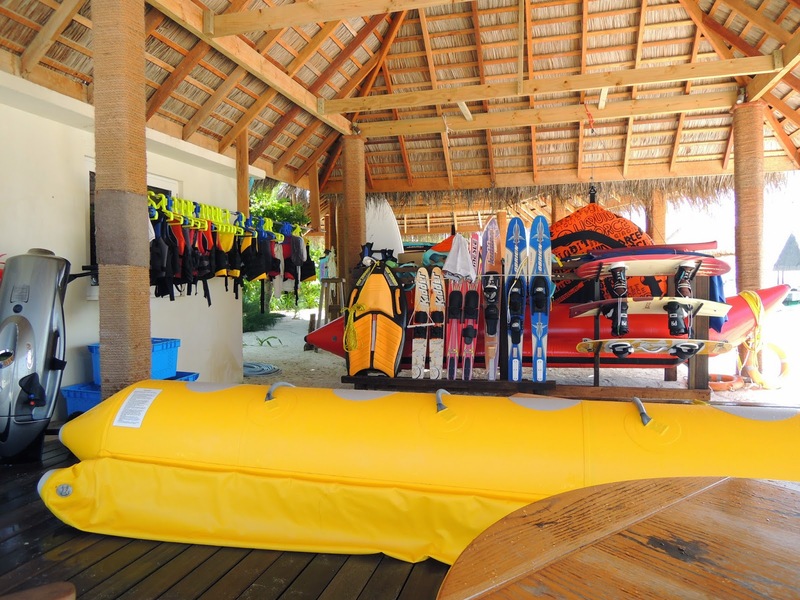 *Jumeirah Vitavelli is located a short 20 minute speed boat ride from Male. 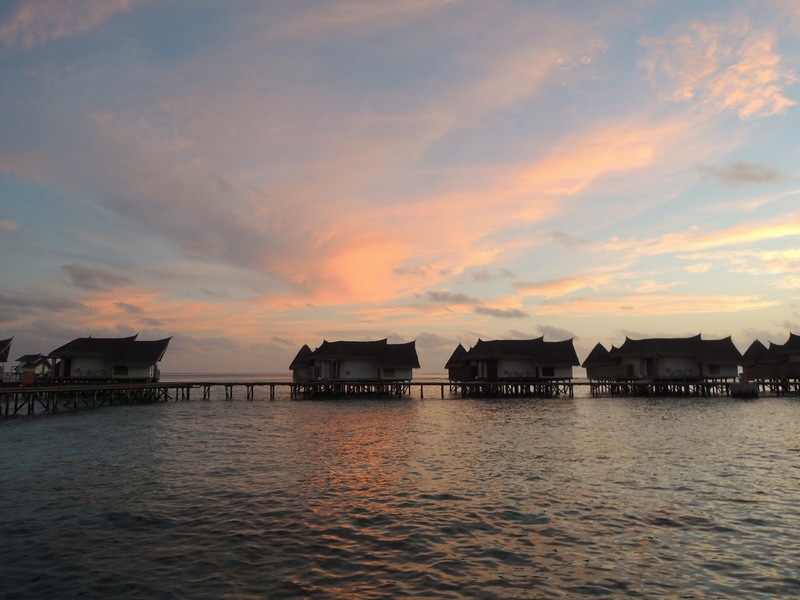 Fancy listening to the waves of the Indian Ocean then click here it's a short clip I recorded from last years visit to Coco Bodu Hithi on my Instagram. The resort comprises of 89 villas and suits each with their own swimming pool and I am not talking about a tiny pool here it's one where you can actually swim in and they either have direct access to the beach of lagoon. They describe the villas as as being spacious but I think the word huge comes to mind considering I live in a apartment and you can also opt for 2 bedrooms making them also ideal for families visiting. 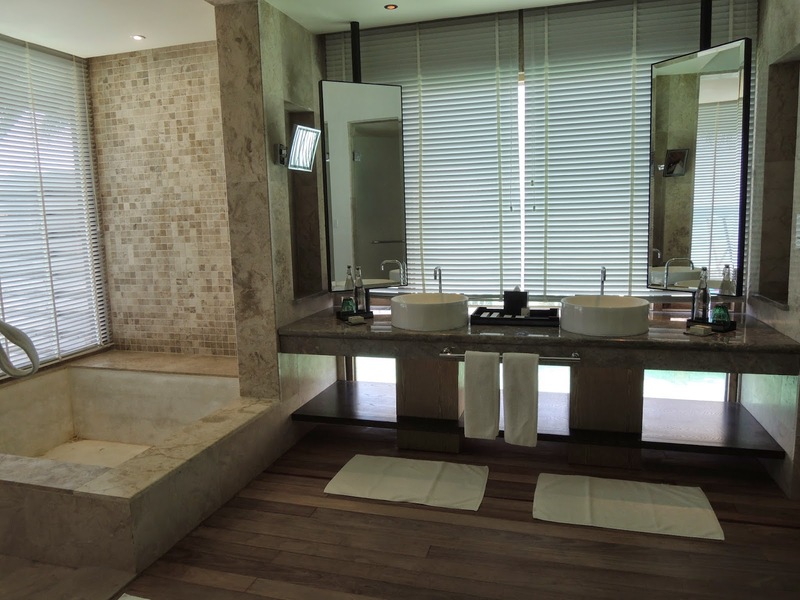 The one bed villa had a huge queen size bed facing the pool / sea (photo below) along with a large seating area, dressing room section and a huge bath tub that takes forever to fill up and we were spoilt with Molton Brown products. You can forget your toiletries and everything is already provided from toothbrush, colgate toothpaste, shower gel, shampoo, shaver, cotton pads, cotton buds, slippers the full works. This was our home for the next 7 nights Dolphin 2. You are probably wondering why on earth have I got a towel / cape on my shoulders....well I didn't fancy having horrible strap tan lines for when I wore my wedding dress. There is nothing worse than wearing a strapless wedding dress and you have strap tan lines!!!! The sun is so powerful there and being asian my skin probably coped a lot better but still I have had tan lines in the past even when using spf 75. 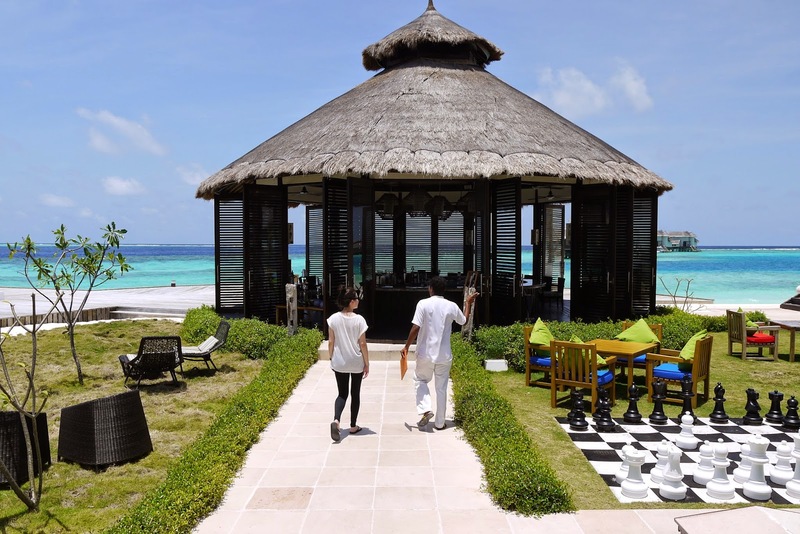 Everything about this resort screams luxury and nothing is too much trouble, we even had our own lifestyle host and he was only a mobile call away! Anything which needed organising / booking you have his number on speed dial. On his day off he even called to let me know and informed me of the person taking over for the day! 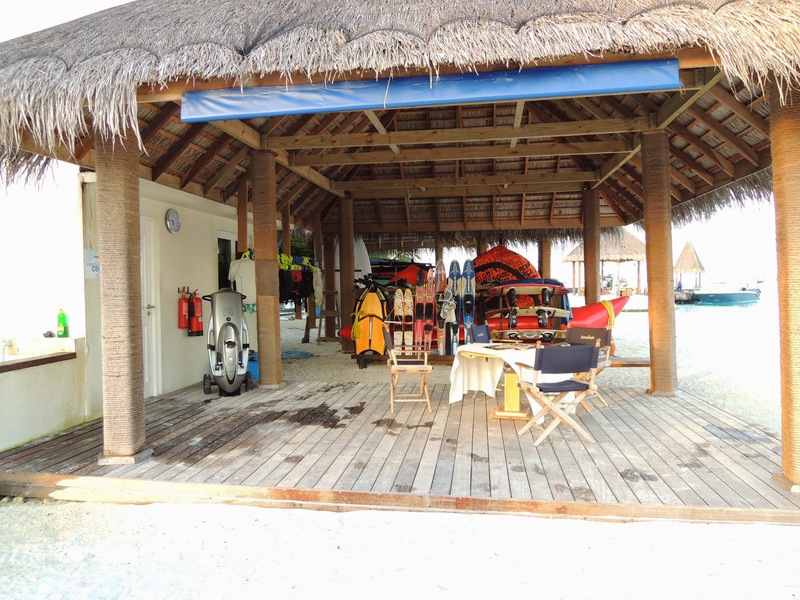 *Jumeirah Vittaveli provides extensive leisure including the very popular 5 start PADI dive centre which my hubby absolutely loves! He actually got his PADI from all the visits in the past and he loves it! 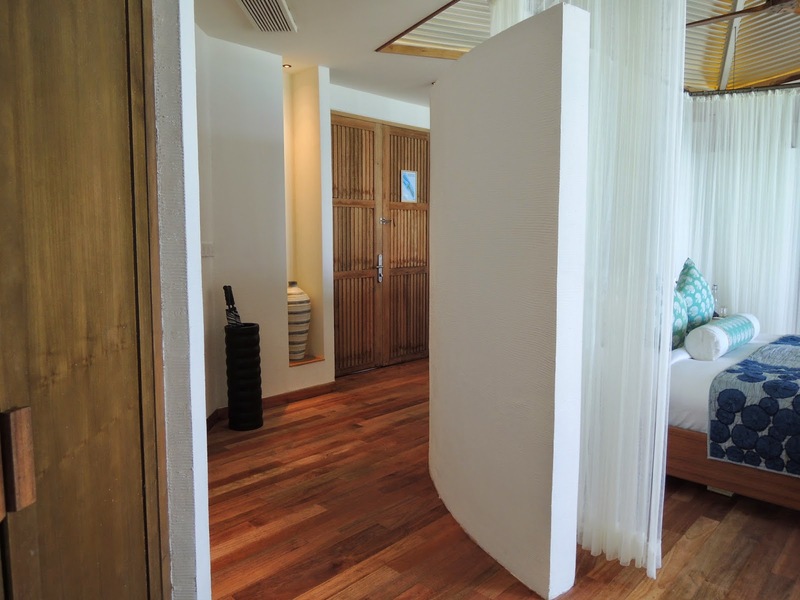 While he is off diving I usually make my way to the Talise Spa which is surrounded by natural greenery and it offers Asian inspired treatments using either natural or organic products. Fitness classes are also available at the gym (personal fitness programmes are available) and yoga classes. I never woke up early enough to attend a yoga class! The food on offer didn't disappoint and in my opinion its in the top 2 of the resorts we have tried in the Maldives. The restaurant buffet caters for all tastes / nationalities fussy eater or not! There are tasting menus available in the restaurants if you didn't fancy the buffet option and we tried the Japanese one which was delicious, I am afraid the photos didn't come out very well since we were sat outside listening to the waves as we ate.... 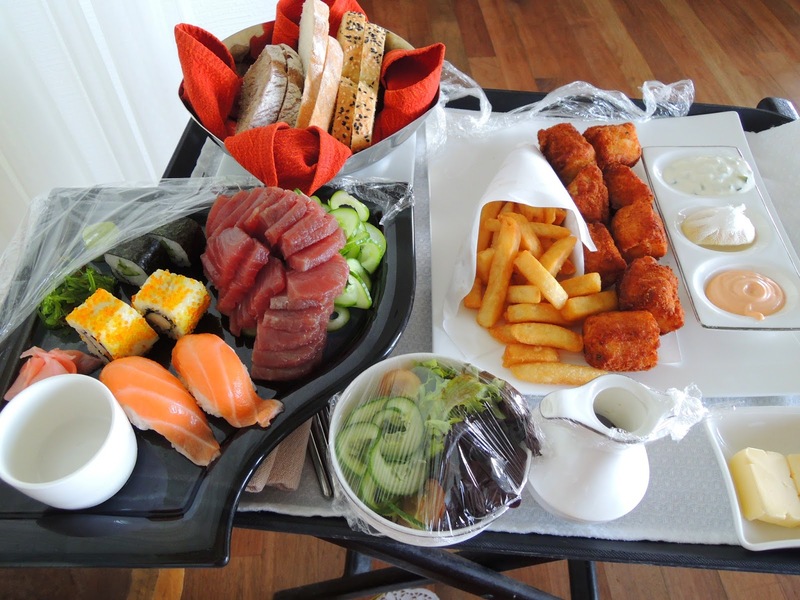 The photo below was a bit of afternoon room service! Champagne breakfast in our villa the next day after our beach blessing, look how beautifully everything is laid out not to mention how great it tasted. We opted for half board which included breakfast and buffet dinner. 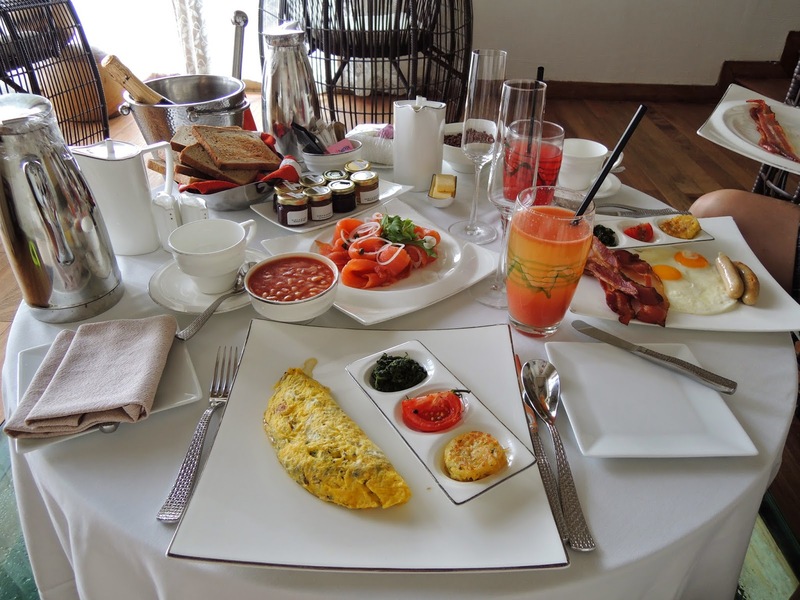 I usually wake up late for breakfast so we are usually still full at lunch and often if we felt peckish in the afternoon we either ate at one of the bars or room service! You can eat at other restaurants if you didn't fancy the buffet dinner and you will just get a credit amount to spend in the restaurant instead which is great. On the day when we had our beach blessing we actually had our tasting menu dinner on the beach setting which was absolutely beautiful. During the day people are either out on excursions either at SPA / fishing / sports / diving / visiting Male the capital for the day or chilling in their villa so there is plenty to do to keep busy. 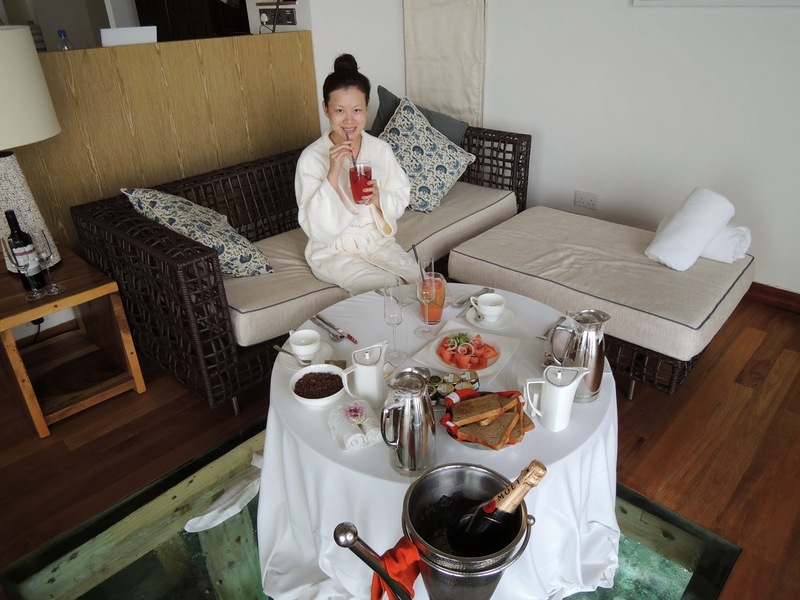 For me it was all about the SPA / food and just laying on the beach or floating around the water either on the beach or from our water villa. You maybe wondering where the paths are for the villas in the photos below.... Well you can only reach those villa's by boat! For me that was more of an inconvenience always having to call a boat to get back onto the island and we booked bikes for our entire stay (free of charge) so we wouldn't be able to park our bikes outside our villa. This Island was rather big so walking from your villa to the restaurant can take a while so it was easier to bike it or even call one of the golf buggys to take you. This is definitely one of the bigger islands I have visited but even when its full you don't see people so it often felt the Island was empty, the only time you see bundles of people was during dinner time in the restaurants but it still never felt busy. This is the leaving jetty area...managed to snap a few more photos while waiting for our speed boat. 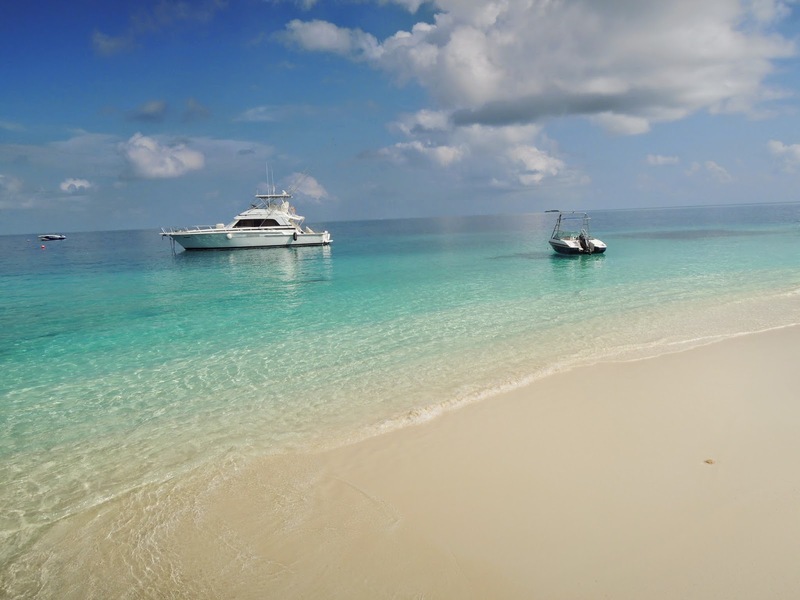 We had a fantastic 7 stay at *Jumeirah Vittaveli for anyone eyeing up the Maldives for their honeymoon I would highly recommend this Island and I would go back in a heart beat!!!! We haven't decided where to go this year but we have been saving and putting money aside each month for a trip somewhere end of this year. 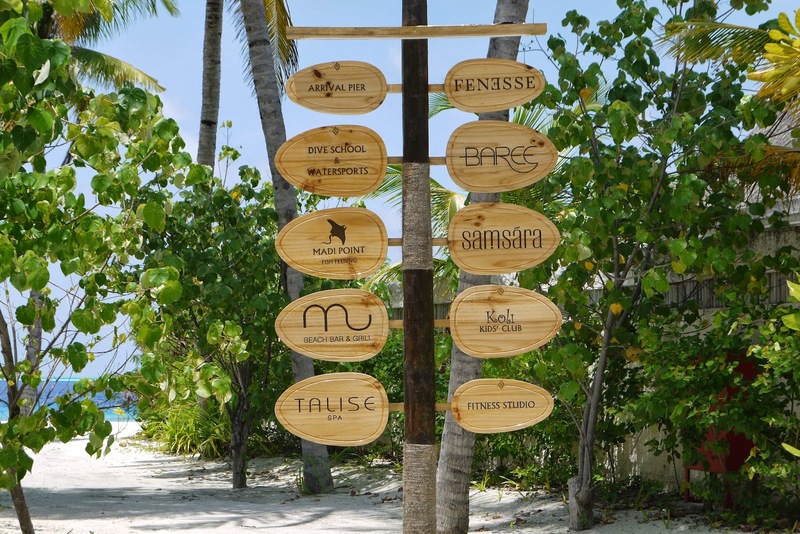 If you are planning a wedding abroad or thinking of considering the Maldives then contact these guys at *Perfect Honeymoons Abroad and they will take care of you! Look out for my next post on actually planning a wedding abroad and I will share my experiences with you all - yes it is a lot more cheaper getting married abroad *check out the comparison yourself! So tell me where is your dream honeymoon destination or if you are already married where did you go? Wow =] looks amazing! Looks like you had a great time. It was amazing, can't believe how quickly 2.5 years have gone by! Our honeymoon in Japan for 2 weeks was awesome! Ai ya you want to put me through looking at all the photos again! sob sob...it was cham enough looking through them last night!!! You need to share your honeymoon foodie photos from Japan! Wow wow wow this looks amazing! What a lucky lady! Thanks Vanessa. 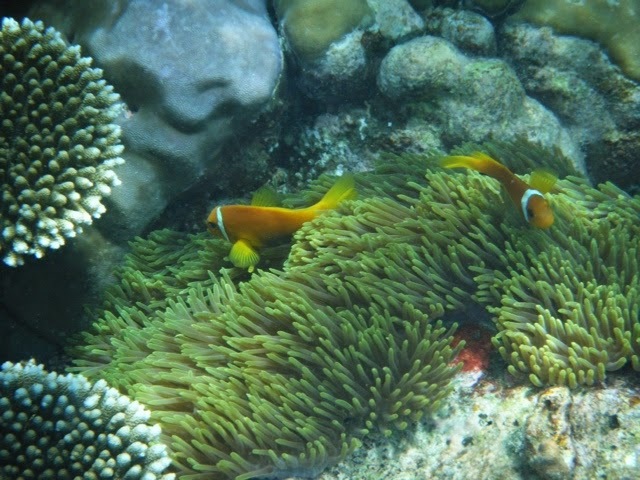 When I was picking photos for this blog post it did make me think if I was really there as it looks incredible! Wow, this is so gorgeous, it just looks magical. An amazing place for a honeymoon for sure! Go before it sinks Kathryn. With sea levels rising I am not sure how long Maldives will exist for... Thanks for all your lovely comments as always Kathryn. Wow this looks like pure luxury! The colour of the water is amazing and the villa and food, just wow! I feel like I need another honeymoon so I can go here! Oh it was definitely luxury, I couldn't believe how blue everything looked...shades of blue! I mean…I am utterly jealous. Thanks Betty! Hopping over to yours now on duck waffle!